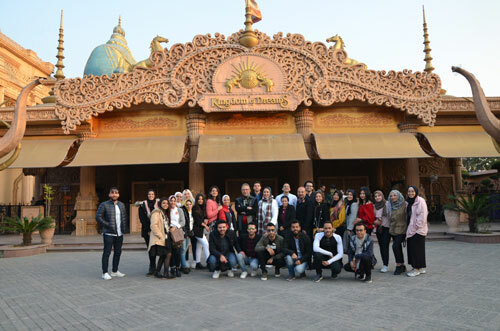 Under the auspices of Prof. Ramdan Abd-El Maksoud, the Head of Architectural Engineering Department, the Architectural Engineering Department at the Faculty of Engineering – Pharos University organized a field trip to Jamia Millia Islamia University in New Delhi, India from 03/02/2019 to 10/02/2019. 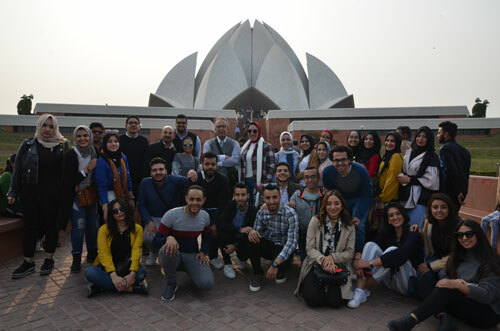 Prof. Hesham El Shimy and Prof. Reham Ragheb arranged the visit program in coordination with the Egyptian Cultural Center in India in order to keep up with the latest techniques in architectural education. The students attended several lectures at the Architectural Engineering Department at Jamia Millia Islamia University, and went in a tour in the classrooms to communicate with students and learned about modern teaching methods at the university. 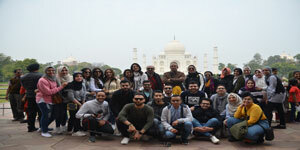 The students visited the best sights in New Delhi, Agra and Jabor. Among the most important sights they have visited were the Taj Mahal Palace and the Lotus Temple.